Whilst you’ll want to make a real difference when you volunteer, it’s not just about what you can do for others. Volunteers get a lot out of the experience too! Here are some volunteering activities you can do this weekend. Don’t just make a difference, experience the difference. As a part of Daan Utsav initiative, Clean Drive Kolkata is taking place! Come join us! 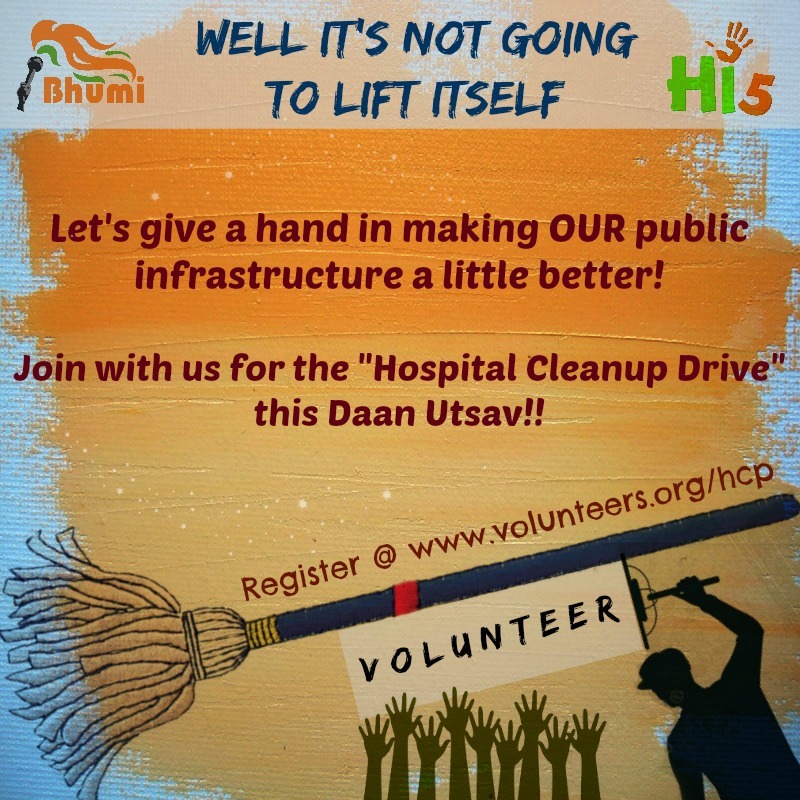 As a part of Daan Utsav initiative, let’s clean , paint and beautify majestic bus stand in Bengaluru! Daan Utsav (or Joy of Giving Week) is India’s “Festival of Giving” celebrated every year from October 2 to 8 that brings together Indians from all walks of life, to celebrate ‘Giving’. 20 lakh volunteers participated in events across 80 cities, raising tens of crores in resources and millions of volunteer hours during Daan Utsav 2013.